Ayurveda, the traditional health care system of India, is a holistic system based on achieving balance between body, mind and spirit. Use of traditional herbs is a significant part of this indigenous healing system. Tulsi, also called holy basil, is one of the most popular of the ayurvedic herbs and its benefits for a variety of health conditions are supported by scientific research. Consult your doctor before trying new herbal products. A 2010 study reported in the "Indian Journal of Dental Research" evaluated the effectiveness of tulsi compared to chlorhexidine against streptococcus mutans, a microbe known to play a role in dental caries. Results showed that tulsi was effective against this bacteria, though less so than chlorhexidine. However, as tulsi has fewer side effects and is more economical than chlorhexidine, the scientists recommend its use for this purpose. Traditional healers prescribe tulsi for the treatment of diabetes. A 2007 review of Indian plants with anti-diabetic properties, which appeared in the "Journal of Clinical Biochemistry and Nutrition" referenced animal studies confirming tulsi's effectiveness in treating diabetes. In one study, tulsi extract was administered orally to diabetic rats, resulting in reductions in plasma glucose levels of 9.06 percent by day 15 and 26.4 percent by day 30. Ayurvedic healers prescribed tulsi for immune support, advising patients to take it on an empty stomach. In a 2011 study in the "Journal of Ethnopharmacology," 24 healthy volunteers were given either tulsi in capsule form or a placebo and told to take it on an empty stomach. After four weeks, results showed statistically significant increases in interferon and T-helper cells in the tulsi group compared to the controls. The scientists concluded that the study confirms the immunomodulatory benefits of tulsi leaves. There is evidence that tulsi can be effective in the treatment of cognitive impairment such as dementia or Alzheimer's disease. A 2011 animal study published in the "Journal of Medicinal Food" evaluated the effectiveness of tulsi on memory using a passive-avoidance task. Results showed that its use decreased the number of mistakes and reduced the time required to reach a shock-free zone while completing the task. 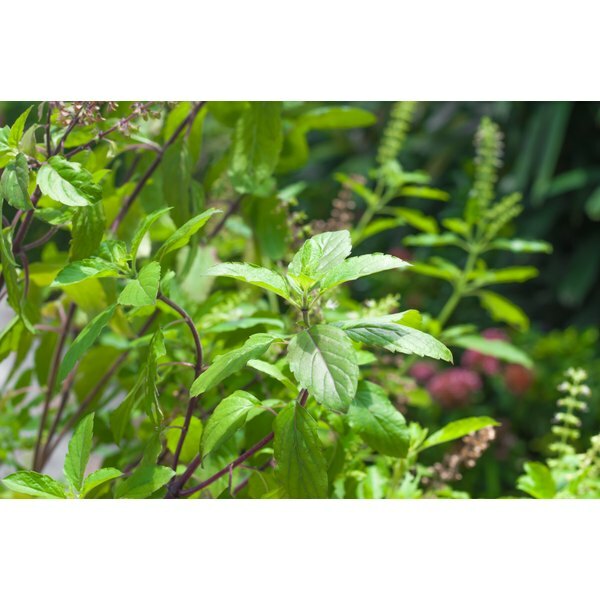 The researchers concluded that tulsi is useful for managing cognitive dysfunction. Tulsi has been safely used in India for hundreds of years. Drugs.com says there are no established contraindications. However, limited information on drug interactions suggests avoiding its use with barbiturates or acetaminophen. Pregnant or lactating women should avoid tulsi as its safety in these instances has not been demonstrated.